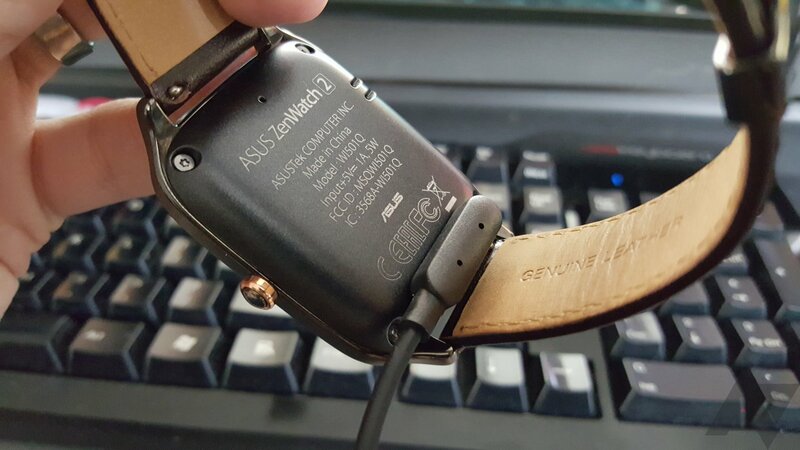 The original Asus ZenWatch was one of my favorite first-generation Wear devices because it had a slick design and competitive price ($200). It wasn't perfect, but it offered a good alternative to expensive devices like the G Watch R. The ZenWatch 2 is going to hit shelves in a few days, and at first glance it's very much like its predecessor. Asus actually made a number of notable changes, but not all of them are positive. At the same time, the price is very attractive and there are two size options—the large one starts at $129.99 and the smaller will be $149.99. Let's see how it balances out. 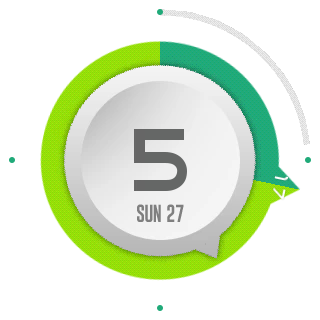 Battery life Well over a day of usage is possible and the watch charges quickly. Sizes While the ZenWatch 2 is a little big, there are two sizes available and it looks nice overall. Band The leather band is nice compared to other Wear devices, and the deployment clasp is great. Price Starting at $130 makes the ZenWatch 2 by far the cheapest way to get into Android Wear with a brand new device. Size The larger ZenWatch 2 is thicker than last year's watch, making it uncomfortable for smaller wrists. Bezel It's still pretty big. I would have liked to see an evolution of the design from the original ZenWatch. No heart rate sensor It's weird to remove the sensor after having one on the last ZenWatch. The button The new crown button is mushy and terrible. There are two versions of the ZenWatch 2—one that measures 49.6 x 40.7mm (WI501Q) and a smaller one that's 45.2 x 37.2mm (WI502Q). 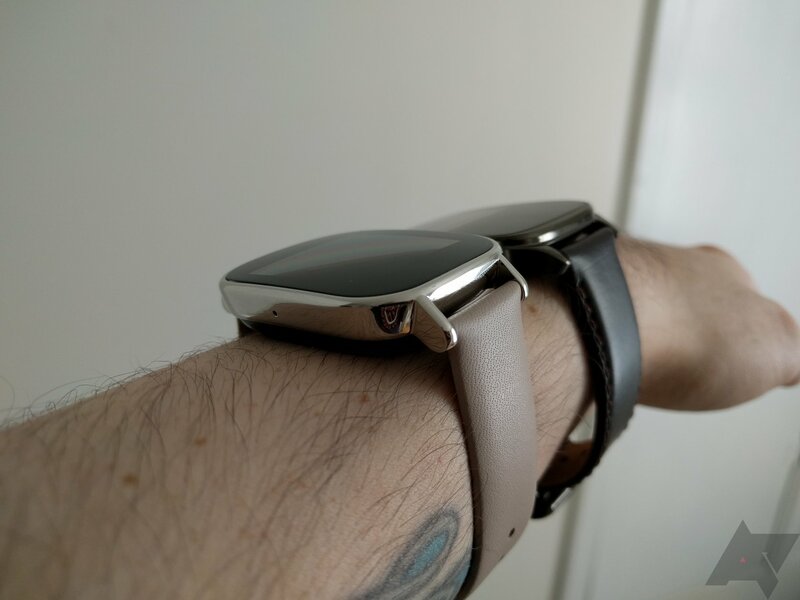 As someone with small, bony wrists, I'm really pleased to see the smaller watch as an option here, however the review unit I have is the larger one. Keep that in mind as all my observations are based on this version of the watch. 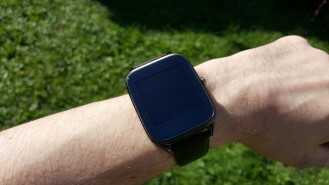 The ZenWatch 2 keeps the same rounded square design, but it's actually a bit thicker than the first gen watch. It's 10.9mm thick, whereas the last one was 9.4mm. This is due in part to the inclusion of a larger battery (400mAh vs. 360mAh), which I'll get to later. The lugs are still exposed, but they taper into the body of the watch more gently this year. It gives the device a more cohesive shape. There's a sizable bezel around the screen, just like the first-generation ZenWatch. Some OEMs have gone to great pains to minimize the bezel (see: Motorola and Huawei), but Asus sort of embraces it. 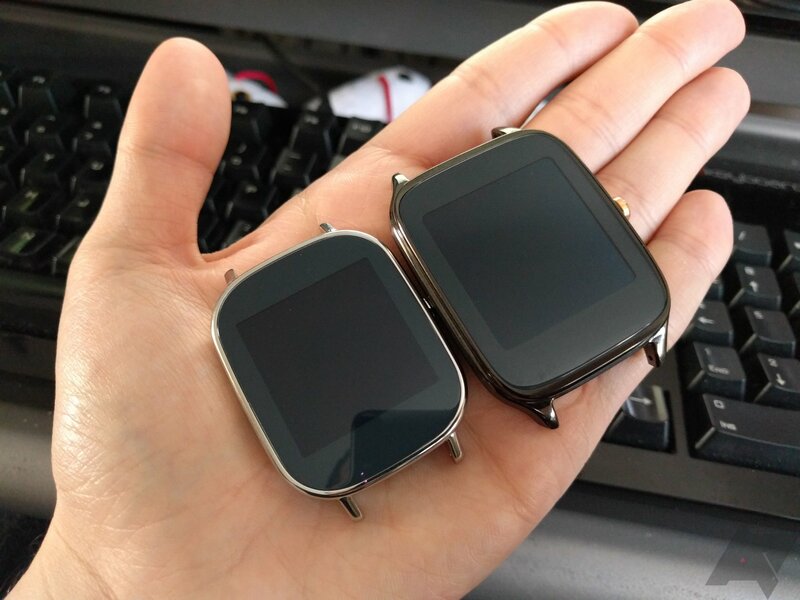 The bezel is even larger than it is on some other square watches like the Smartwatch 3. The curved glass extends over the black bezel right up to the metal rim. 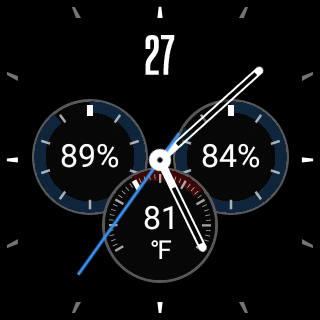 With a mostly black watch face, the bezel doesn't stick out too badly, but when the screen is awake it makes the watch look bulky and oversized. I imagine the larger bezel makes the watch cheaper to manufacture, which is why it's so competitively priced. As for comfort, I'm not terribly impressed. The increase in thickness makes the ZenWatch 2 a bit less comfortable than the first gen, even though the other dimensions are very close. Keep in mind I'm talking about the larger size, and as you can tell from the images, it looks gigantic on my wrist. The small version may be much less awkward on small wrists. If you've got normal or big arms, the larger version might not bother you at all. If you never used the first gen ZenWatch, you might be surprised to learn it had a physical button, It was on the underside toward the edge and was not intended to be used while wearing the watch. It was basically just a power button. The ZenWatch 2 has a proper crown button on the right edge. From a general design perspective, I could take or leave this. 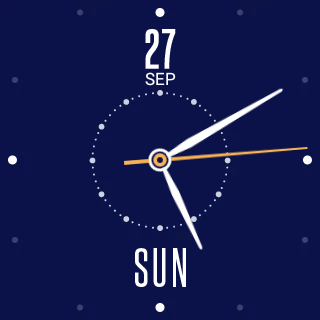 The button-free design is easier to pull off, and Android Wear works fine without a crown button. 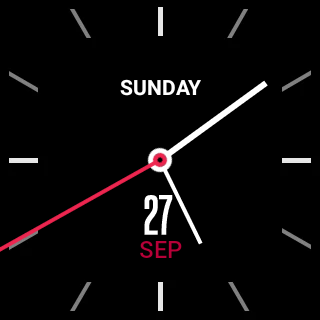 The issue with the ZenWatch 2's button is that it's garbage. There's almost zero tactile feedback when you press it. The small black bubble in the middle depresses while the rest of the crown remains stationary. It just smushes down and at some point registers as a press. Where is that point? I really don't know. I can never tell if I'm just not pressing hard enough or the UI is taking a moment to respond. It's a crappy experience, so I've taken to ignoring the button. The underside of the ZenWatch 2 is made of a textured plastic (the first gen was metal), and you might notice something missing. Yes, there's no heart rate sensor down there as there is on most watches—there's no heart rate sensor at all, actually. The first gen had a capacitive sensor built into the bezel, so it's weird to see this removed. 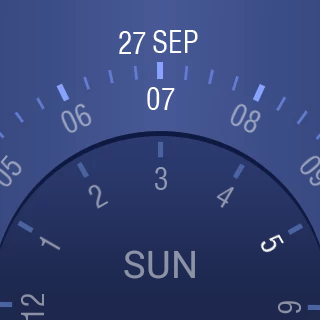 It's not the only smart watch to lack this feature, though. The Sony Smartwatch 3 didn't have one either. I suspect this was another cost-saving measure. Asus has designed the ZenWatch 2 to be IP67 rated for water and dust this year, which is the same as most other Wear devices, but an improvement over the first ZenWatch. That one was only IP55. This is the difference between being rated for full submersion in water, or just being placed under a steady stream of it. There's no cradle to charge the ZenWatch 2, but it does have pogo pins on the underside. Instead of a dock or cradle, this wearable has a small magnetized clip that attaches to the pins. I actually quite like this design as it's very easy to attach. It's great if you don't need to have the watch displayed neatly on your desk or nightstand, and I suspect it'll be a lot cheaper to get a replacement (whenever they are available). I will never fully understand why most smart watch makers insist on including such junk bands with a $300 piece of personal technology. 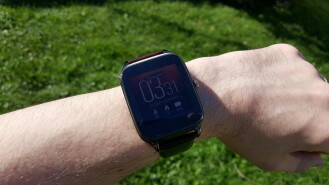 The first ZenWatch was a pleasant surprise with the great clasp and flexible leather, and the new one is very similar. The band design is very similar to last year ($150 leather band variant), but there are more options. My review unit has the genuine leather band, which by the way, is just a classification of leather. "Genuine" is considered the third highest quality type after full grain and top grain. Basically, it's cheap and the feel varies significantly from one manufacturer to the next. 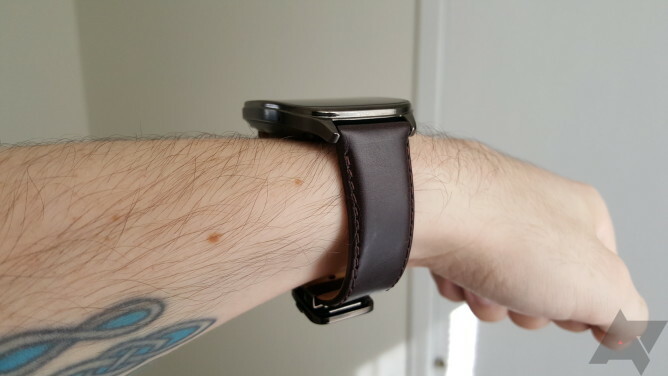 The band on the ZenWatch 2 is less stiff and uncomfortable than the Urbane's awful genuine leather band, but not as soft or flexible as the Moto 360's. It loosened up in a few hours and doesn't really bother me (this has nothing to do with the body of the watch being too large, as mentioned above). There's a small post on the spring bars that pokes through the inner surface of the band, making it easy to remove the stock band. There is also a cheaper silicone version; that's the $130 option. A metal band is supposed to happen later. 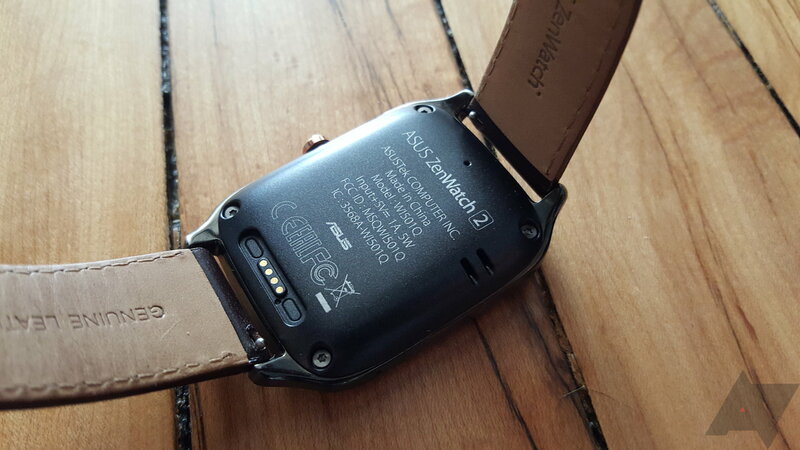 The clasp is probably what saves the ZenWatch 2's band from being mediocre. It's a folding deployment mechanism that's similar to what you'd get on an Omega watch, but not as nice, obviously. The excess band folds inside and is held against your wrist rather than being inserted through a loop on the outside of the band. 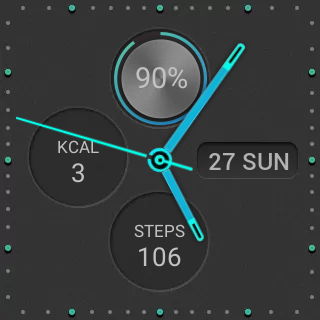 This gives the ZenWatch 2's band a clean profile that I really like. It also has a button release to prevent it from popping open accidentally. For a watch priced as competitively as the ZenWatch 2, I think the stock band is impressive. 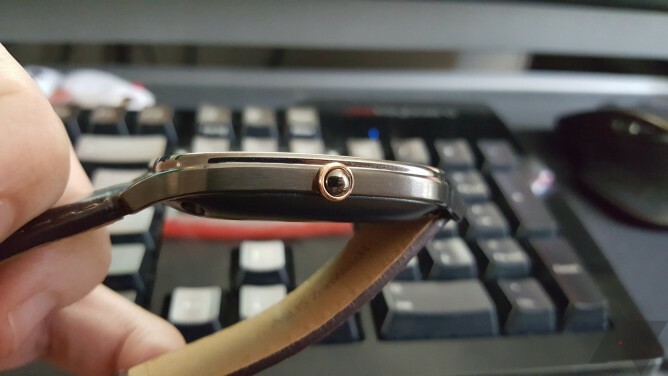 Unfortunately, the small ZenWatch 2 will have a standard buckle. 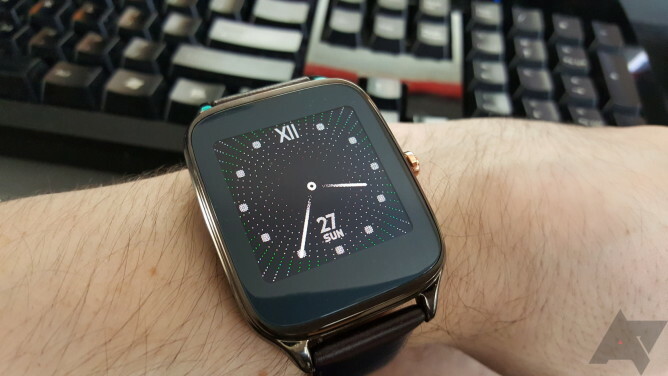 Asus is still using AMOLED panels on the ZenWatch 2, which I'd say is more desirable than LCD. An AMOLED only uses power for lit pixels, whereas an LCD has the backlight fully on when there's anything displayed. This means AMOLEDs are much more efficient in ambient display mode, which is mostly black. 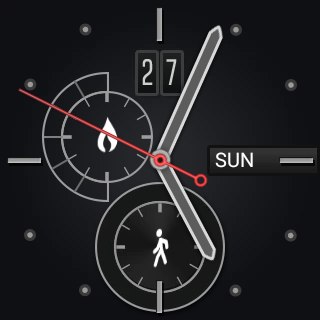 AMOLEDs do tend to burn-in after a while, but I haven't had the ZenWatch nearly long enough to comment on that. Android Wear does have some anti-burn features, so it might not be a major concern. 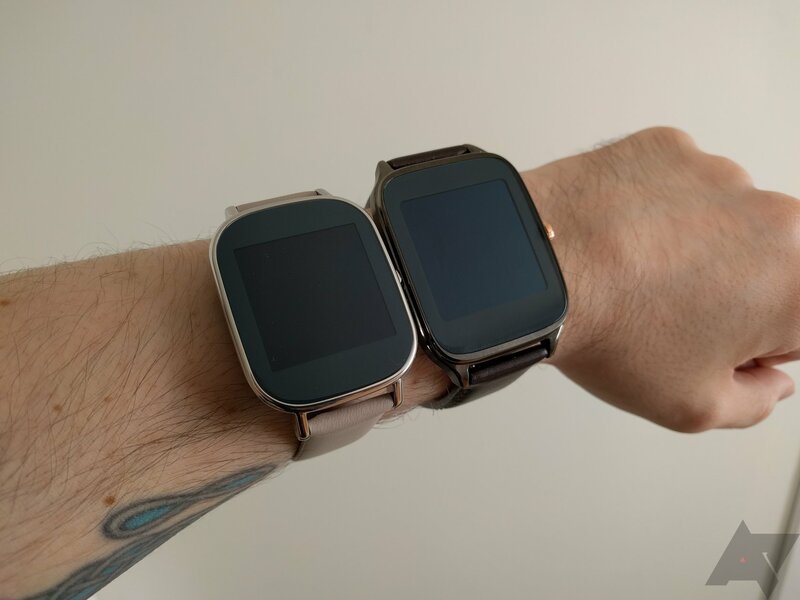 The two sizes of ZenWatch 2 have very different screen sizes and resolutions. The larger watch has a 1.63-inch screen at 320x320 (277 PPI). The smaller ZenWatch is only 1.45-inches and 280x280 (273 PPI). I only have the larger one to evaluate, but the display looks very good when it's awake. The colors are bright and it looks sharp at normal viewing distances. The small one should look just as good, based on the pixel density. 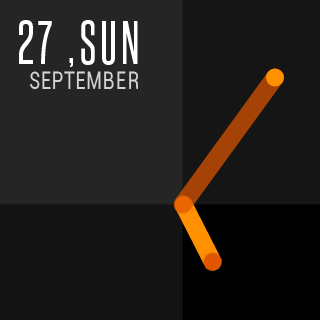 The ZenWatch 2 doesn't have an ambient light sensor, so you've got to control the display brightness yourself. I find that the lowest setting is more than sufficient in a bright indoor room, and the highest is okay for outdoors on a bright day. You can't make out the ambient display at all on the highest setting in very bright light, but the active screen is readable (see above). It's still nowhere near as visible as the Smartwatch 3 with its transflective display or even an LCD-based Moto 360. There's one other thing to note about the display, but it's less about the hardware and more about how it's used. Just like the original ZenWatch, the display downshifts the quality when it's in ambient mode by disabling anti-aliasing. That can give things a jagged look when viewed up close, and fine lines are broken up. 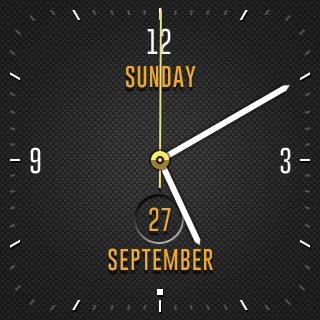 Weirdly, many of Asus' stock watch faces don't account for this and they end up looking bad in ambient mode. Not all Wear devices do this, but some do. It's just something to be aware of. Asus claimed recently that the 400mAh battery in the larger watch (the smaller one is 300mAh) would be able to keep it running for as long as four days, but that's a measurement of ambient mode, not active use. And indeed, it's not that good if you're actually using the watch. The ZenWatch 2 manages over a day of usage for me on a single charge. 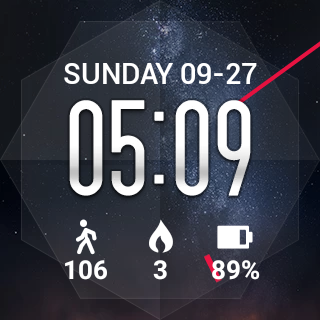 I have been able to make it from 9AM to nearly midnight with about 25% left, and I get more notifications than most people. 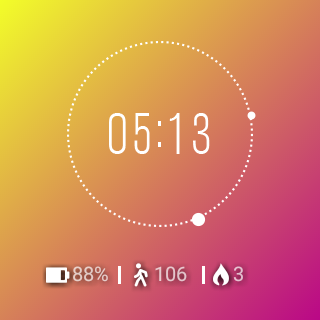 That's with ambient mode, gestures, and all notifications left on. I think everyone should be able to make it a full day with this device, even if you use it heavily. I feel like a day is still the minimum for a viable smartwatch these days, and the ZenWatch 2 is comfortably above that. The magnetic charger also seems to work quite fast. A few minutes on the charger and you could get another 15-20% of the battery. It's not a standard connector, though, so that'll only help you if you haul around the cable. 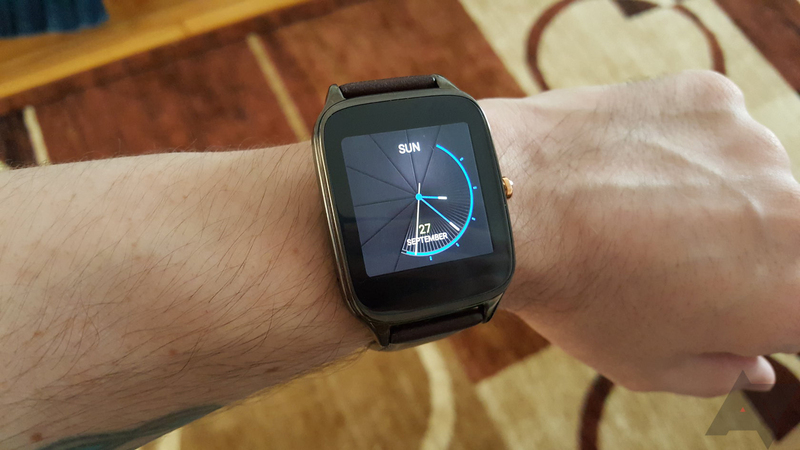 Like all Android Wear devices, the ZenWatch 2 runs a pure Google version of the platform with a couple Asus additions. I won't bore you with the details of Android Wear, as it's the same on every device, but let's zero in on some of the small tweaks Asus has made. 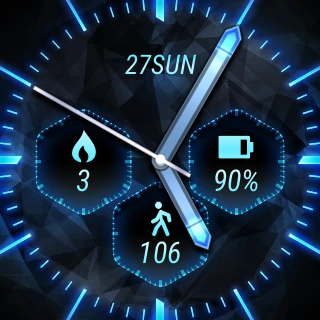 Asus has a ZenWatch Manager app for the phone that connects to a variety of services on the watch itself. 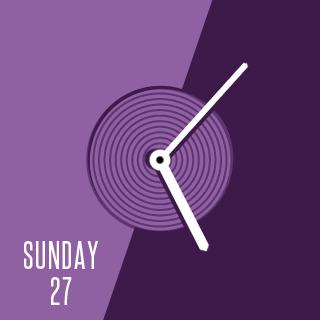 Some of this is more useful than the rest, and a few features are straight up duplicating things that Google has built into Android Wear in recent updates (flashlight, phone finder, device unlock, etc.). 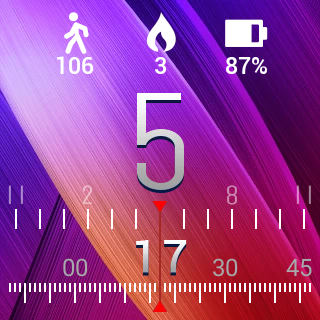 Still, it also contains all of Asus' watch faces for the ZenWatch, and there are a ton of them. 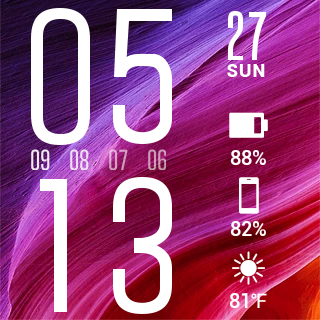 As of this moment, there are 34 Asus watch faces for the ZenWatch (see the gallery above for a bunch of them). That does not include the stock Google ones that every watch gets. A number of the Asus faces are actually very nice too. 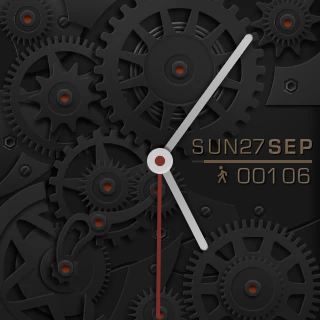 There are basic analog faces with indicators, some more stylized ones, a bunch of digital faces, and even a group of analog faces with moving gears. Most of these have customization settings for color and the additional info they display. I'm sure you'll find something to your liking in there. My only concern is that some of the watch faces don't look very nice in ambient mode on the ZenWatch 2 because of the aforementioned lack of anti-aliasing when it's asleep. This watch has the same Snapdragon 400-based hardware most other Android Wear devices have had, so performance is largely the same. There's sometimes a little spot of lag on the ZenWatch 2 that I don't see on devices like the Smartwatch 3 or Moto 360 v2, but it's really not evident unless you're looking at two watches side-by-side. 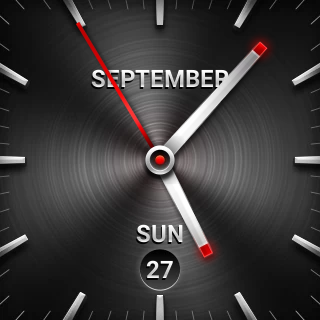 I think you will notice a bit more inertia in the scrolling on the ZenWatch 2. 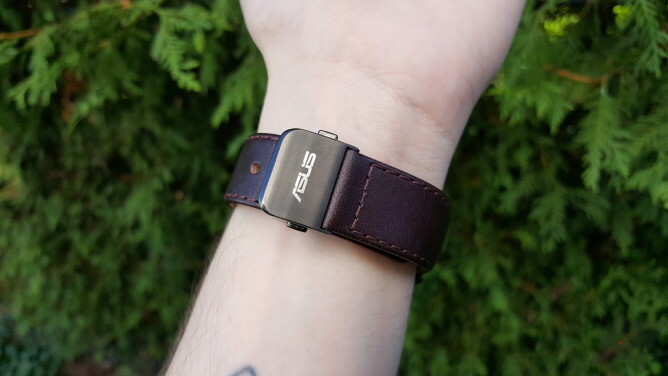 I'm not sure what Asus is doing here—it might be something to do with the screen, but swiping seems to send the UI flying by much faster than it does on other watches. It takes some getting used to, but I still overshoot things often. I wasn't expecting the ZenWatch 2 to be a better watch than, for example, the Huawei Watch, but that's not what Asus is going for anyway. The Huawei Watch starts at $350, and the ZenWatch 2 is less than half that price if you go for the base model. Still, the internals are almost identical and they perform similarly. It's very cool that you can spend a bit over $100 and get a brand new Android Wear watch now. Asus has priced the smaller watch above the large one, and the ZenWatch 2 is one of the larger Wear devices out there. The big one is too awkward for those with small wrists, especially considering the increased thickness compared to last year. I haven't had a chance to use the smaller ZenWatch 2, but it's probably where you should look if you're rocking tiny wrists like I am. It's only a little more spendy, but it won't be out for a few more weeks. If you're not completely sold on the idea of an Android Wear watch, the ZenWatch 2 should be your first stop. It's not too expensive, gets above average battery life, and it looks pretty nice. 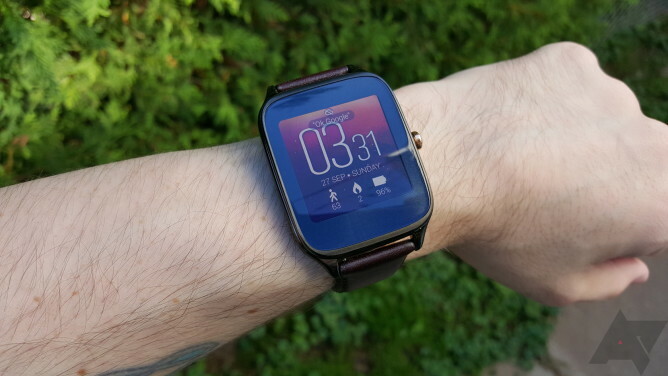 The bezels are a bit much, but you can get the version sized to look best on your wrist. You can order the large ZenWatch 2 right now from Best Buy (exclusive on the leather band for now) and Asus. It should also be on Newegg at some point soon. It'll ship in early October, several weeks before the small version. 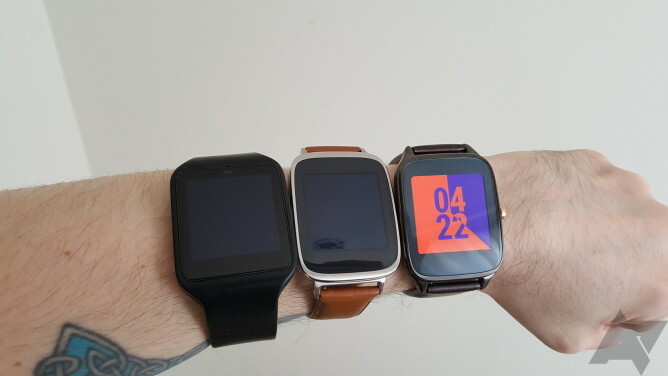 I have the smaller ZenWatch 2 for comparison, which you can see in the pics below. It's still about the same thickness, but the surface area is a bit smaller—45.2 x 37.2mm vs. 49.6 x 40.7mm. The band is also narrower and light-colored, which seems more feminine. Asus isn't technically marketing this as a women's watch, but that's kind of what it looks like. It is overall more comfortable than the larger watch. Battery life is maybe a tiny bit weaker. It has a smaller screen, but the battery is smaller as well. 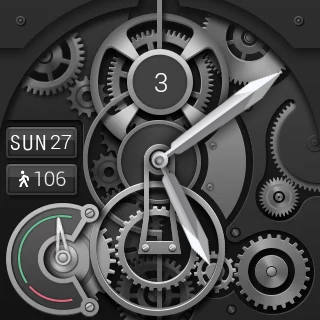 The crown button is much better on the small watch, though. It's actually worth having. The small watch is maybe a good buy, but you'll want to swap out the band probably.